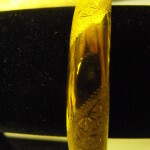 Gold Filled Antique Bangle Signed W.E.H. 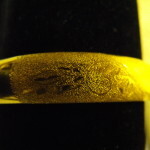 The subject this time is an antique, gold filled etched bangle signed W.E.H. (Walter E. Hayward). 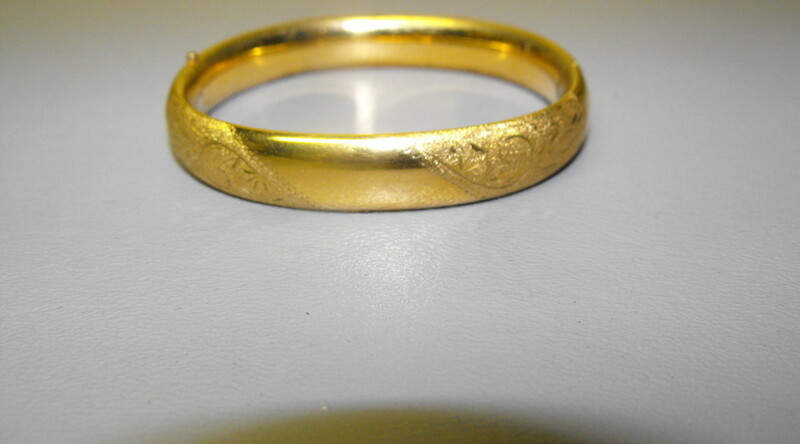 The bangles is also marked 1/20th 14-kt GF. 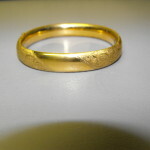 The Walter E. Hayward Co. is a long time respected name in jewelry manufacturing. 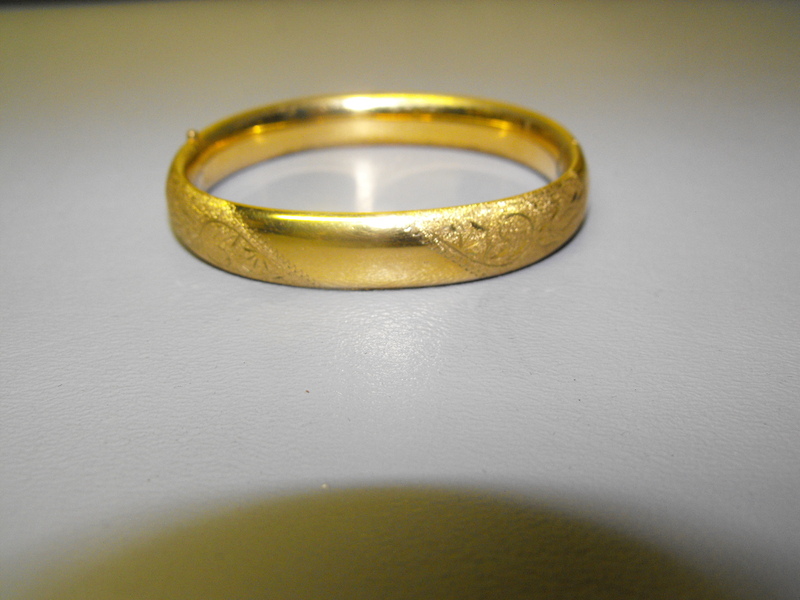 The bangle measures 1/2″ wide and about 2 1/2″ inside diameter. 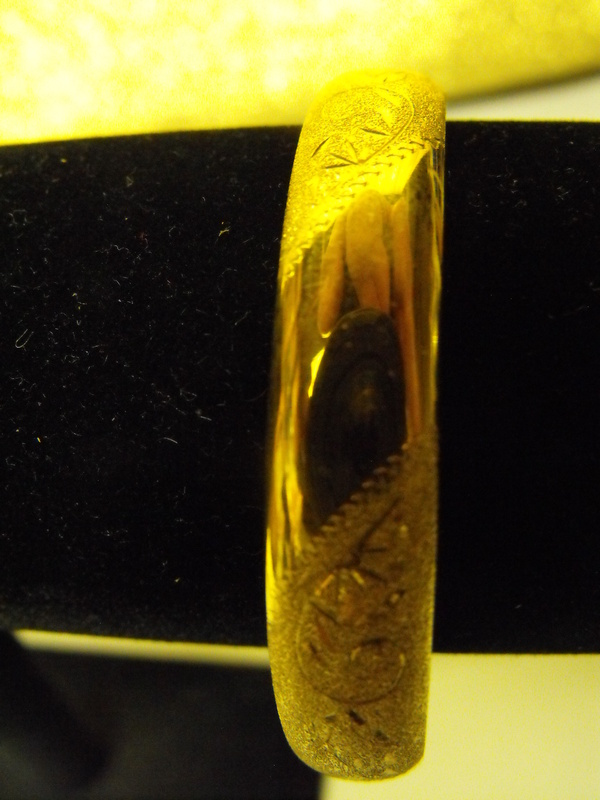 The hinge is a bar and slot clasp The bangle is beautifully etched on top. 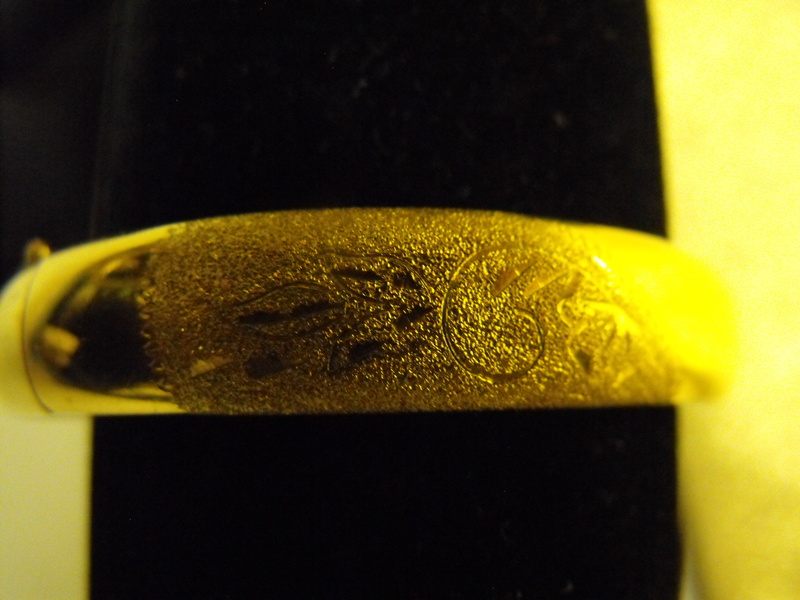 So make a statement and dangle a beautiful bangle.